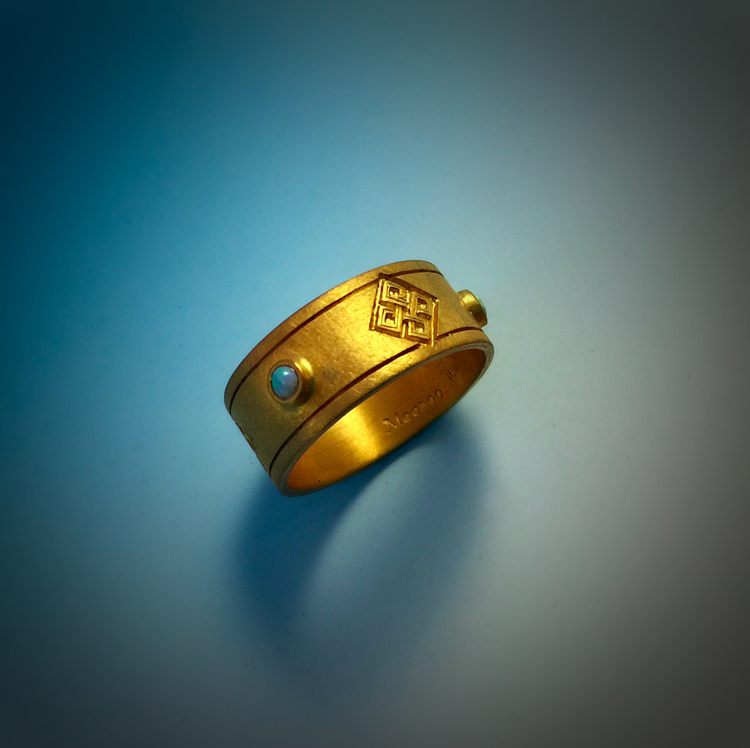 This 18kt gold ring was a custom piece made as a wedding band for a client. 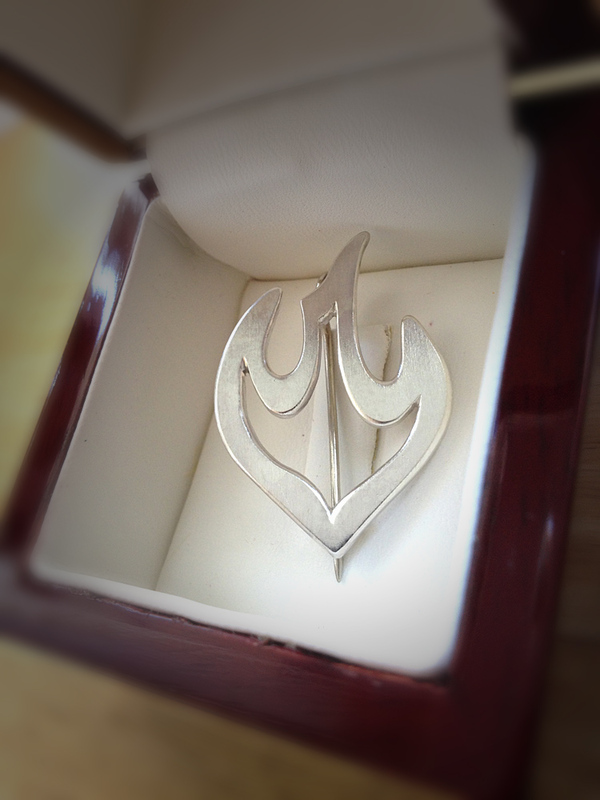 It is engraved with a floral pattern. 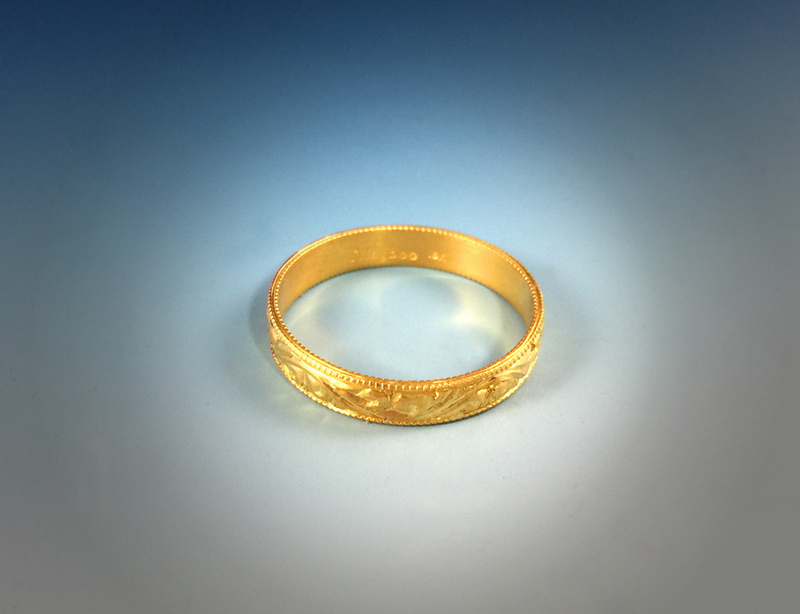 Detail image of engraved floral ring. 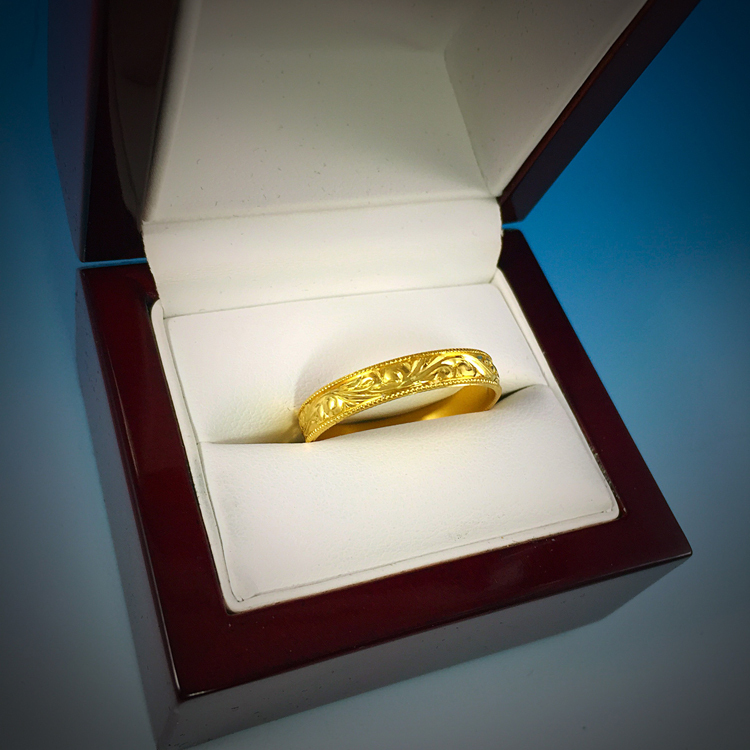 This is a custom 18kt gold wedding band. The ring is engraved with Lewis Chessman knotwork and set with small opals. I was commissioned to make this brooch for a a priest that was retiring from the Mary Magdalene Apostle Catholic Community. The design is based on the flame/dove logo of the church. 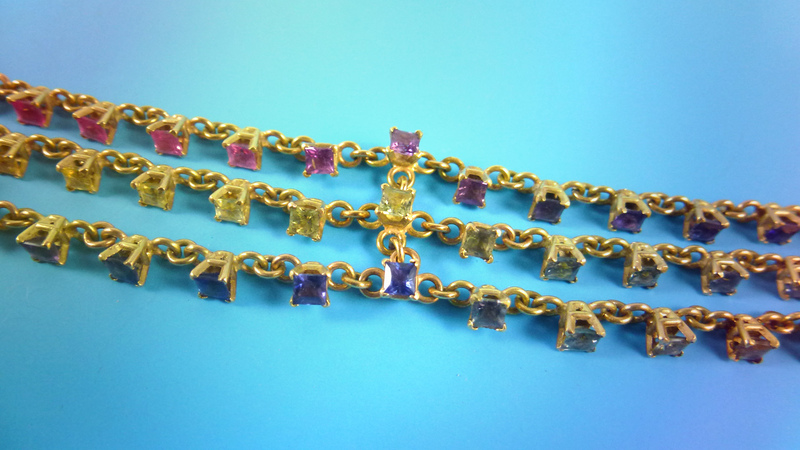 I fabricated this 14kt gold sapphire bracelet for a client that gave this as a present for his girlfriend. 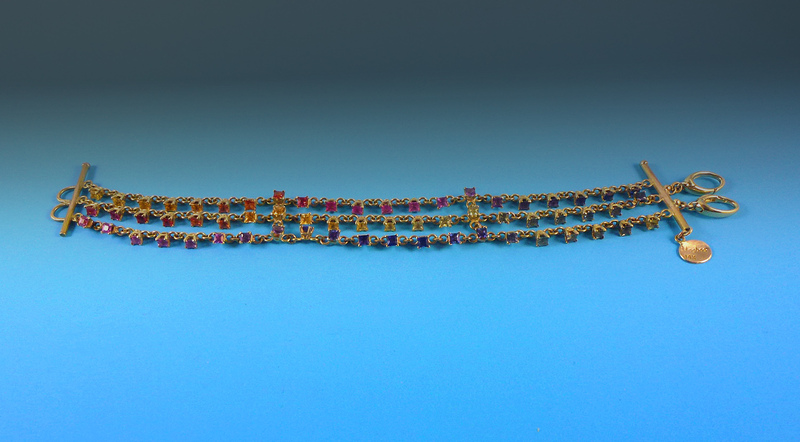 The bracelet is set with over 60 multicolored sapphires. I made this wide band as a wedding band for a client. 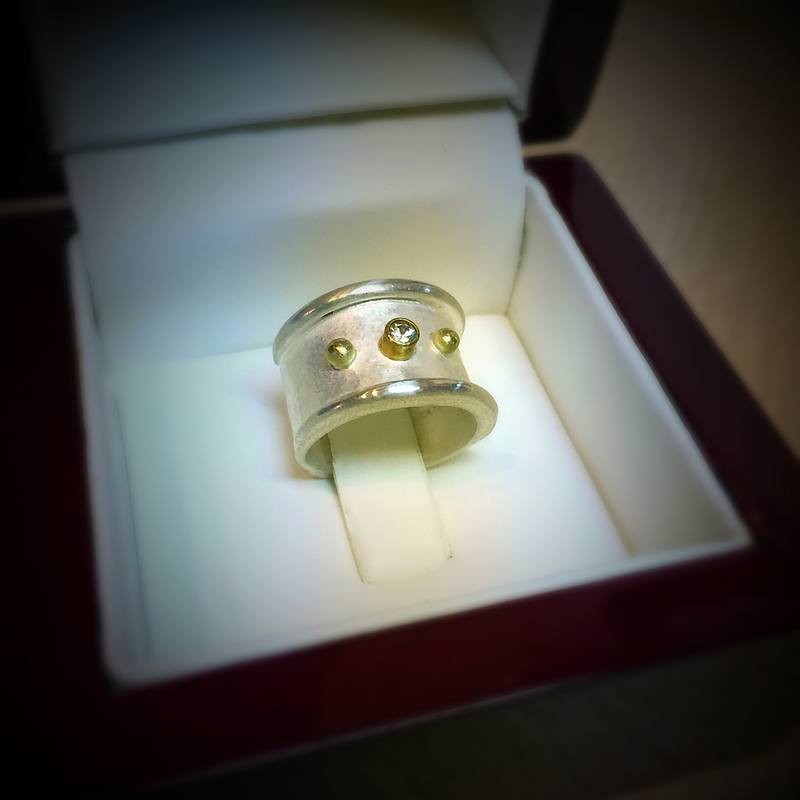 The ring is made of sterling silver, 14kt gold and white sapphire. 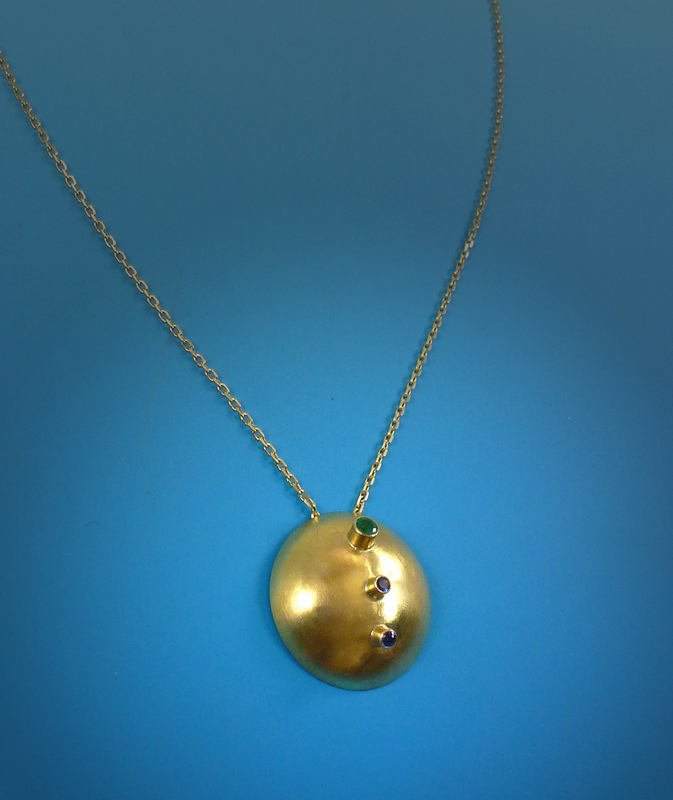 This 14kt gold disk necklace was made as a Christmas present for a client’s girlfriend. The pendant is set with sapphires and an emerald. 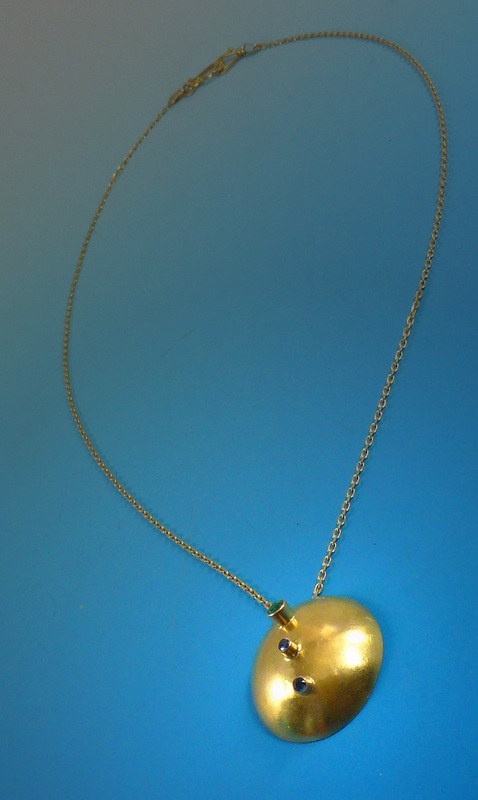 Detail image of gold disk necklace. This necklace was made for a client whose mother recently passed away. The pendant is a locket that holds the ashes of her mother. Back of reliquary pendant. This necklace is made of sterling silver. 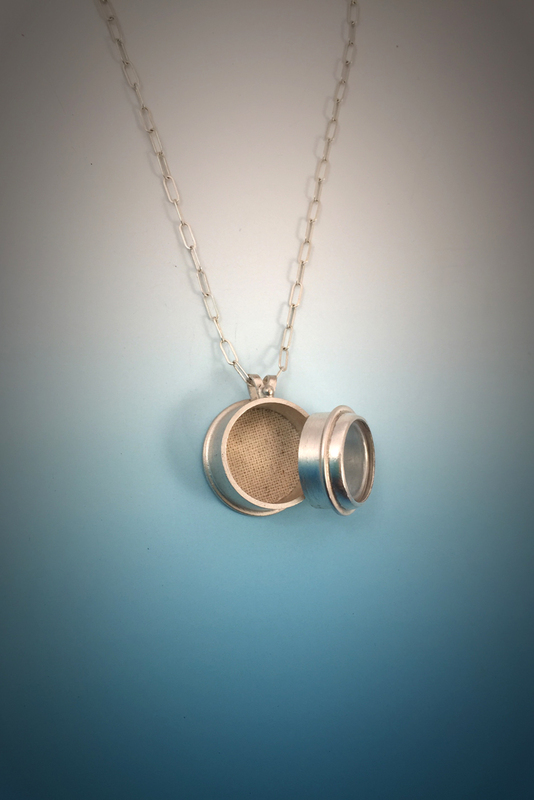 The interior of the locket is lined with linen cloth and set with a glass window. 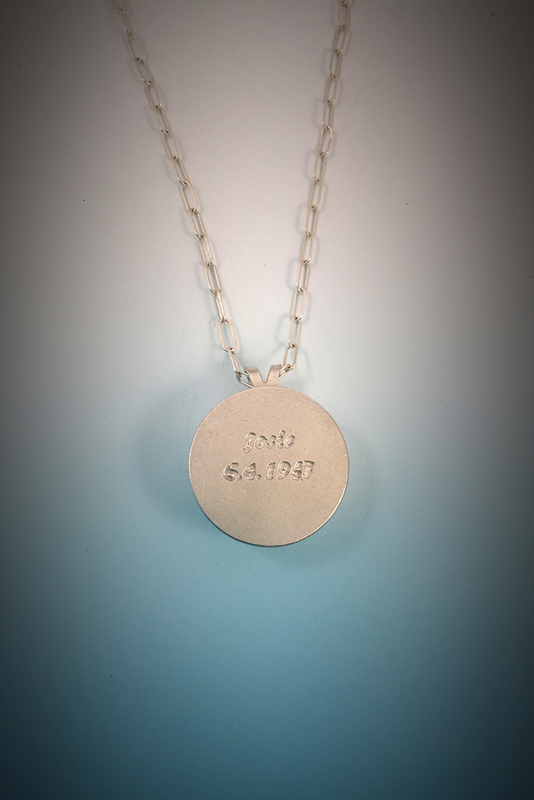 The back of the pendant is engraved with her mother’s name and birth date. 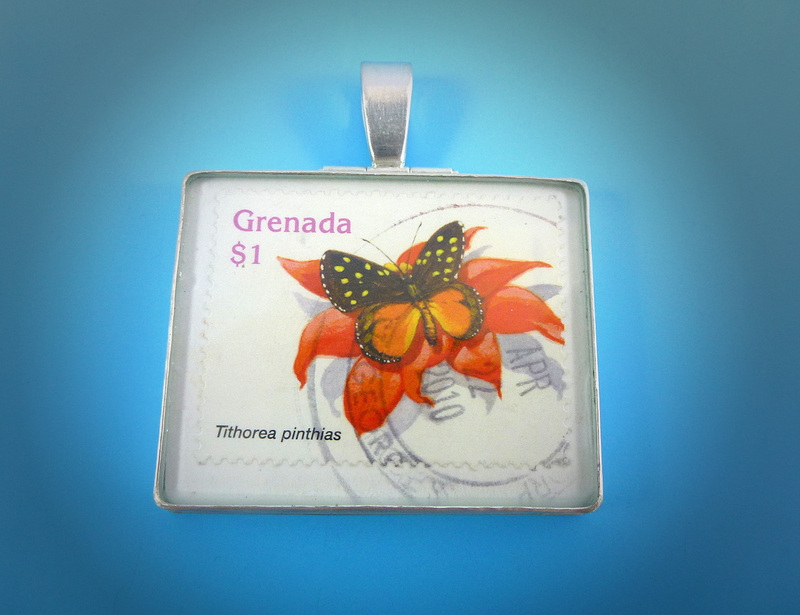 This silver pendant was made from a piece of a postcard that a client received from her son. 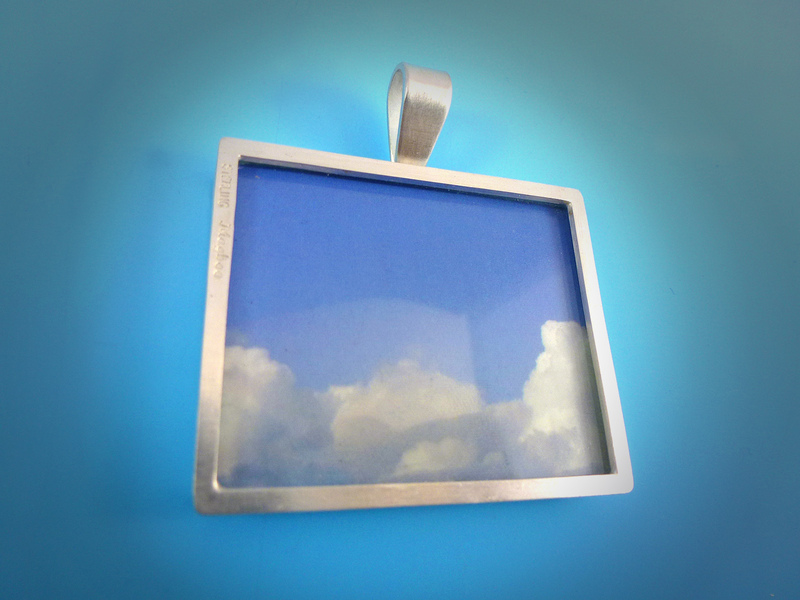 I made a custom silver frame pendant to encapsulate the postcard. The postcard is set between two panes of glass. The bail on the top is hinged to allow for movement. Detail image of the back of the postcard pendant. 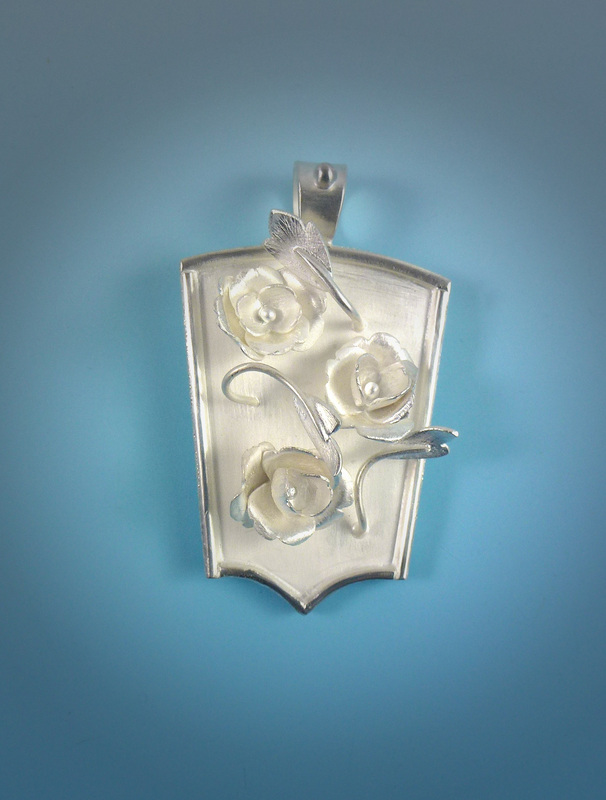 This silver rose pendant was made as a present for a client’s mother. This hammered 14kt white palladium gold ring was made as an engagement ring for a client. 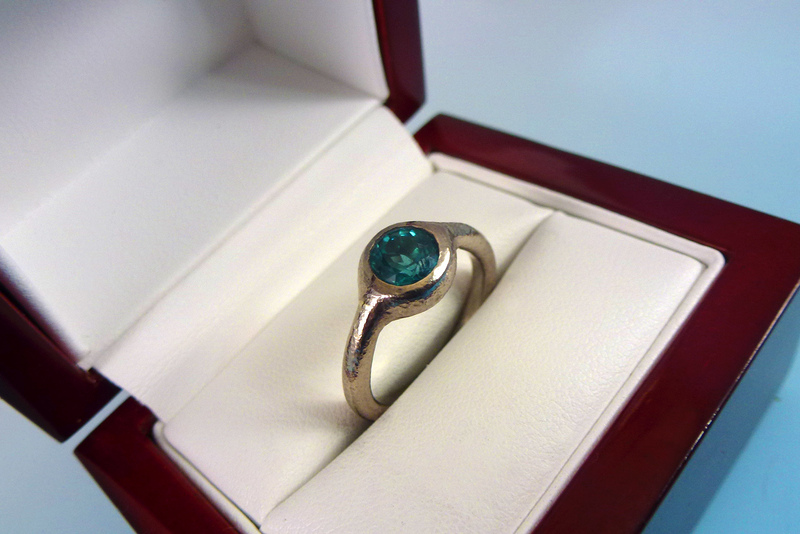 The ring is set with a round brilliant blue tourmaline. 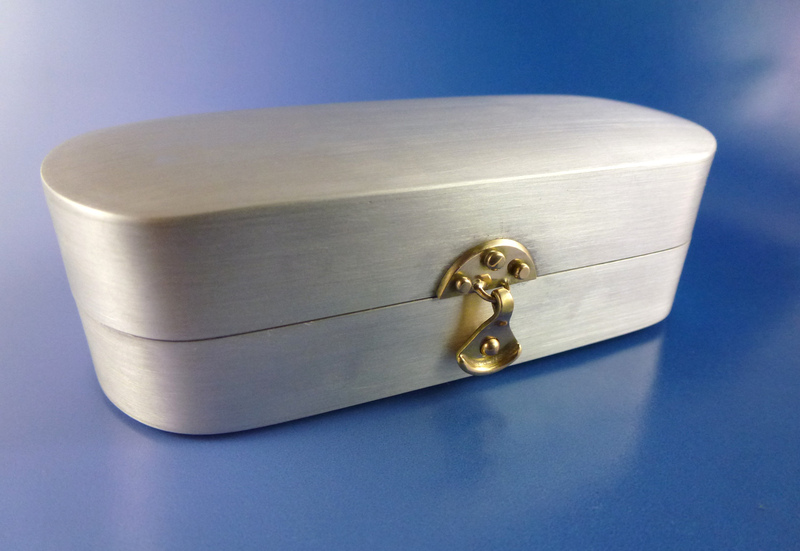 I fabricated this custom silver box for a client to hold their reading glasses. I made the clasp in the front in 14kt gold. 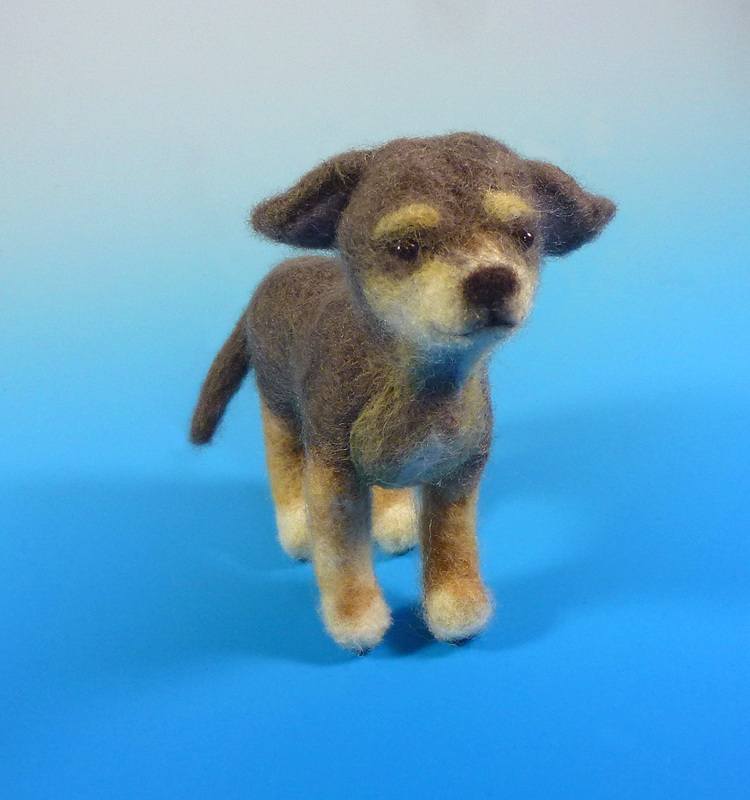 I made this custom felt piece for a client whose dog passed away. 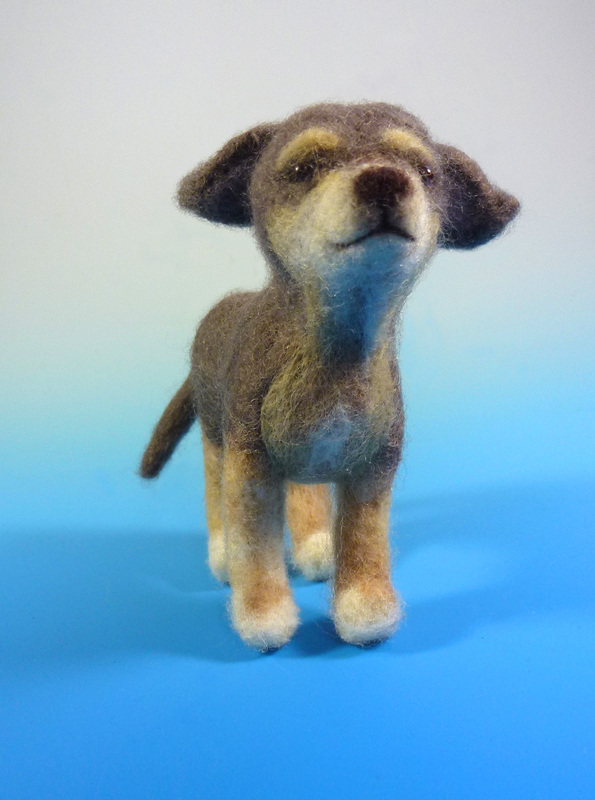 Detail image of felt dog sculpture. 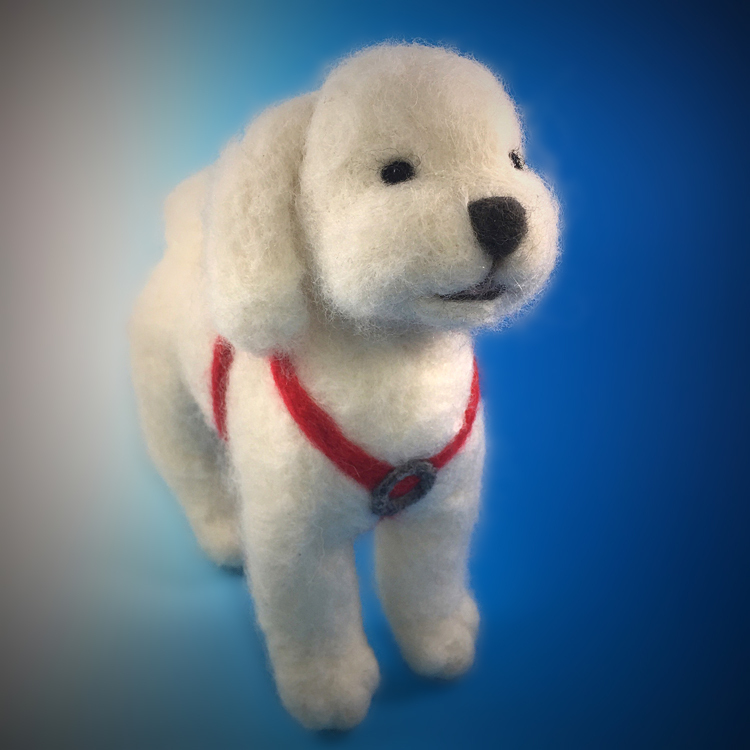 I made this custom felt sculpture for a client to give as a Christmas present. This was a portrait of a client’s friend’s bichon frise’. 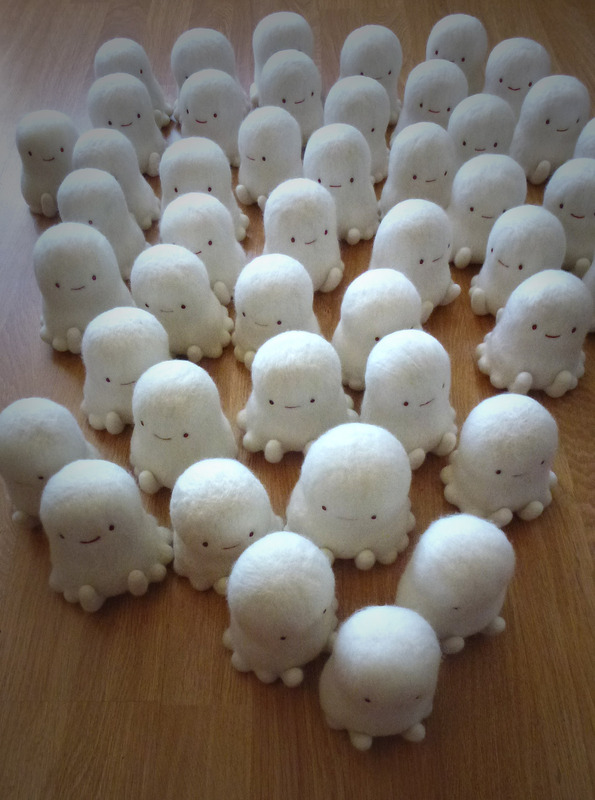 I made approximately 50 felt sculptures for well-known New York Illustrator, Joe Sorren. This was a limited edition run of monster sculptures based on his most famous painting, “Because of Toast”.